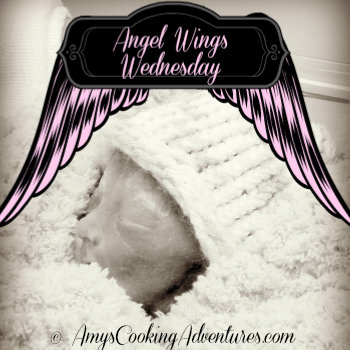 For today’s Angel Wings Wednesday, I’m sharing a poem I wrote. At least I think it a poem, or maybe prose? It doesn’t rhyme and the meter is off, so who knows? Whatever it is, it’s a glimpse of my life. It just makes me crabby and sad. I. Don’t. Want. To. Talk. Today is a breathing day. I have two healthy children. I’m all over the board. But really I just want to cry. Today is the day we were all blessed with this post.